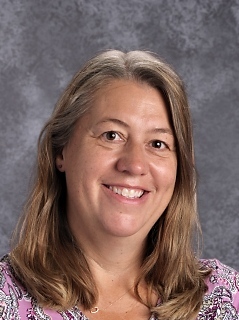 My name is Deb Margrett and I am currently the PK3 and PK4 teacher at Elm Grove Lutheran School. I am also the school librarian. I decided to become a teacher by my senior year in high school. I love working with children and sharing the love of Jesus with little ones and their families. It is such a joy to see the spark of wonder and learning in the eyes of a child! My parents were both Lutheran school teachers for many years, and they have been outstanding mentors and role models to me throughout my life. I attended Concordia College- River Forest after graduating from Sheboygan Lutheran High School. During my college years, I spent lots of time volunteering and working with children. I worked at the Early Childhood Center at RF, as well as volunteered with teaching Sunday School classes and Vacation Bible School at my home congregation of Bethlehem Lutheran in Sheboygan, Wisconsin. I spent many hours babysitting as well. I graduated from Concordia, River Forest (now called Concordia Chicago) in 1990 with a BA in Education. I have a major in Early Childhood and a minor in Psychology. I received my first call to Elm Grove Lutheran School to teach PK4 part time. In 1991, I started the PK3 program in addition to teaching the PK4 classes. My husband is Greg Margrett. We were high school sweethearts and married in 1990. We have been blessed with 3 children. Nathan (born in 1994), Nick (born in 1997) and Hannah (born in 1999) bring great joy to our lives. We have lived in Brookfield, Wisconsin since 2001. Outside of the classroom, my interests include scrapbooking, reading, exercising, and gardening. I also enjoy traveling to new places. Recent travels that I have enjoyed include such places as Amsterdam, Germany, and Paris. One of my favorite Bible verses is my confirmation verse from the book of Matthew. "Ask, and it will be given to you; seek, and you will find; knock, and it will be opened to you." (Matthew 7:7) This verse reminds me to pray continuously for the Father's blessing in all that I do. It also provides an assurance that the Lord will always hear and answer our prayers according to His good and gracious will.